The one in the video you link to here uses a kind of cone mod - a foam ring. Read the main Hellfire conversion thread for more discussion regarding different mods. Try several, and see what you like. 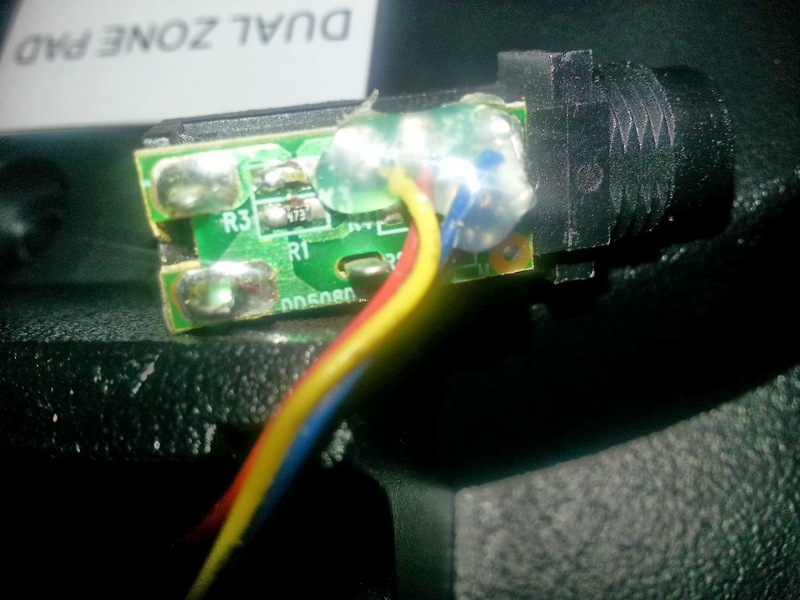 This helped me alot -- Instead of un soldering / re-soldering and drill the hole.. I just filed a small notch for the wires. Also - I was able to remove the black foam with the hole in it with out cutting it on the 8" pads. I just stretched the foam over the trigger plate. And yes - for the smaller pads you may be able to stretch the black foam over the trigger plate - it is surprisingly flexible. Hellfire and Trondster, thanks very much for all the detail on your experiments and sharing it with the rest of us. Tonight, I finally tackled converting my bass drum. I'm guessing Alesis has been paying attention to this forum! There is a groove now cut into the 8" pad base for the wires. I didn't have any resistors, but there was a heap of glue covering the circuits the wires were soldered to. You are right, the de-soldering isn't even an issue. When I reassembled everything and tested it out through the module, I wasn't getting the impact I was hoping for. Unless striking in the dead center of the pad, I wasn't getting anything. As this is the bass, I wasn't concerned with it, but would be for the two 10" pads. I did follow your example settings, Trondster, and that helped as far as picking up more of the beater, as did tightening the mesh head more. One thing I noticed was missing was the "slap" sound, but then realized it's because there is no longer a mylar head with metal plate close behind it! I needed to undestand I wouldn't have heard that sound on a recording or through my PA anyhow. 1) Should I be filling in the hole in the grey foam with some of the leftover white foam or leave the hole there? It appears you have the hole in your photos. For some reason, I thought I had read to fill it elsewhere. 2) I cut the hole in the white foam a bit wider than a CD (about 1" in from the outside). I'm wondering if I cut too much out? The metal plate is still touching some of the foam, but not as much as in your photos. Does that affect the sensitivity, or only if I added a piece of the thin foam like you outlined in your experiment that didn't work? Thank you both again for your help! The metal plate should in deed rest on the white foam - it is the plastic plate that should be free. It sounds like you cut out a bit much of the foam - open the pad after a while to see if it was too compressed or not. I haven't tried, but I'd guess that as the bass drum is hit in a quite different way than the rest of the pads, that maybe it would work OK to put a cutout of the white foam back in? Experiment and see what you like best - this is not an exact science. The circuit board has the resistors soldered on - you can remove the entire circuit board if you wish - it will improve the sensitivity. 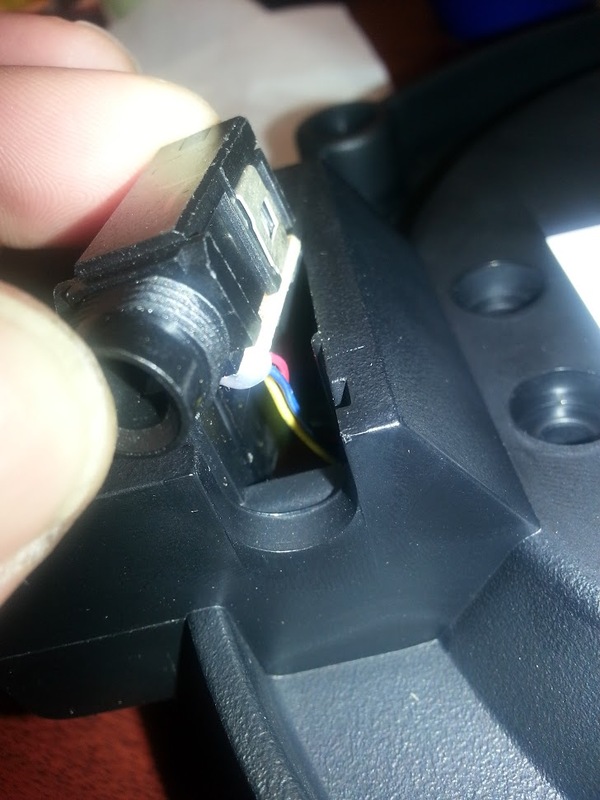 Do remember to adjust the sensitivity - when you mod the pads you must always readjust the pad sensitivity from scratch. The volume meter in the Ext Trigger menu should only max out on your hardest hits. You may have to increase the sensitivity a bit if you still have the circuit board with resistors in place. Try filling the hole in the black foam with other foam if you wish, and see what works for you. My pads work that well that I haven't bothered experimenting - perhaps they will be even better if I fill the hole - maybe, and maybe not. Do try to put your bass drum beater a bit off center - it may improve triggering - the bass drum pad is more fiddly than the ordinary pads. Thank you, Trondster! I will work on it more tomorrow night and will take a picture of the circuit board; I had no idea the resistor was a part of it. I looked more at the white foam I cut out. It looks to be less that 1/4" (maybe 4mm?) wider on all sides from a CD disc, so I think based on what you've posted about the metal plate that it will be okay. Tomorrow night I'll know for sure. And here's what it ended up looking like after I removed the circuit board. I was trying to loosen the solder enough to slip the "pins" out, but ended up breaking one of them off. I found a place online that sells what appears to be the TS jack, so I've ordered that. Hoping I don't screw up any more of the jacks! 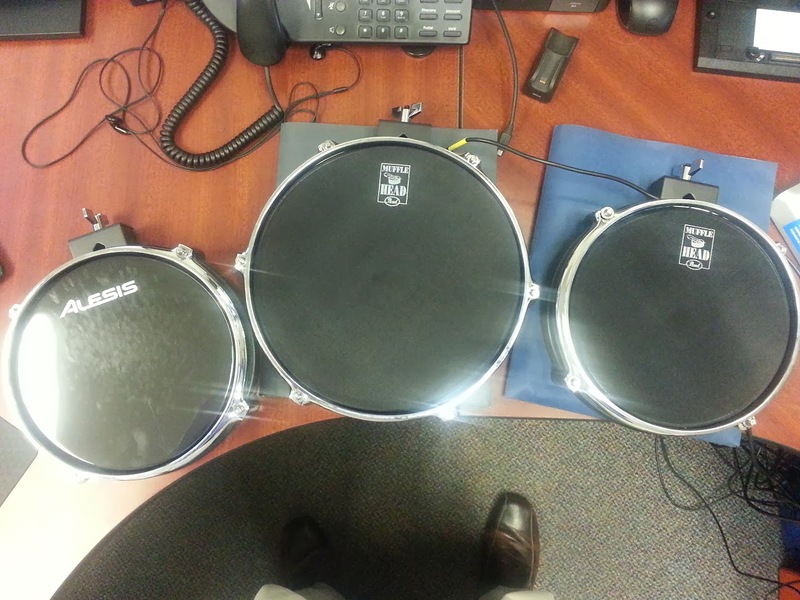 A TS jack should be fine for the bass pad, but if it is a dual-zone pad with two piezos you want a TRS jack. I emailed Medeli, to see if there are any suppliers of the TRS jack in the US. I haven't been able to find anywhere that has those yet, just the TS. Thankfully I started with the bass pad! 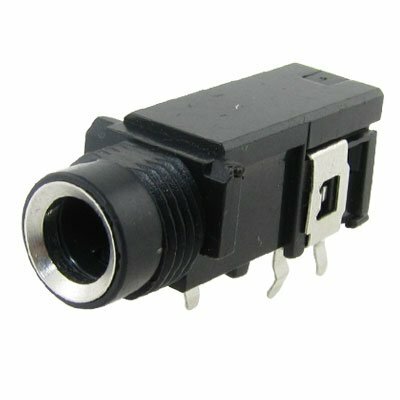 What's the difference between this and a TRS jack? I noticed the Medeli has four pins for TRS, three for TS. This has three, but says it is stereo, so I'm assuming it would work for dual trigger? A TRS only has three wires (and a TS only two) - some sockets have several "extra" couplings for sensors to check if there is a jack plugged in or similar, or to reroute a signal if a jack is not plugged in. I purchased these; maybe the one I purchased last night is a TRS/stereo too. It looks the same. I just didn't know since it didn't have the fourth pin the one I ruined had. I've seen TRS jacks with 4 pins where two pins (typically the ones closest to the jack opening itself) are both connected to the sleeve (i.e. ground). I'm not sure why they've done that, but it might be so you can use whichever one is easier for your build. Absolute worst case, plug in a TRS cable and tone it out. You should be able to match a pin to a section on the other end of the cable. I'm pleased to report the replacement jack arrived yesterday and I was able to put the bass together again today. YOWZA! Had to turn down the sensitivity a decent amount - it's picking up the difference between me releasing the beater immediately after a strike versus keeping the beater pressed against the head! I did successfully convert one tom tonight. What I did with the circuit board was carefully cut it into three pieces with a wire cutter before desoldering each pin. That way I was able to use the helping hands to hold the jack, the soldering iron in my right hand and a needle nose in my left to gently pull away the respective circuit board piece. Worked beautifully! My 1/4" speaker grill foam should be arriving Monday. Then I'll be able to convert the three 12" pads per Gerdy's post. But - be warned that the speaker foam might not be up to snuff - other users have reported that their replacement foam for their 12" conversions started falling apart after a while. Try a 12" conversion, but open the pad after a couple of months to see how the foam is doing. If it is falling apart - locate and try a different foam. In that case, I'm going to source a different foam, similar to that used in the pads already. Thanks, Trondster! OK, I am to the point where I pulled the jack out on one of my 8" pads. It barely comes out(even though I took it apart). It does not have resistors on it as far as I can tell. Does this pose a problem? Since there a not any resistors on the jack, did they change something on the circuitry to where moving the peizo towards the bottom of the stack will have issues? th3r00st3r-Alesis DM10 Studio w/mesh head conversion (billy blast 2ply) and snare stand. I'm guessing that there is a small circuit board on the jack - that's where the resistors are - you coul remove the entire board and solder the wires directly to the jack. Thanks! Well i put it back together before I read your post. Hooked up 2 drums (1 modified, 1 not) and tested it out with both on the same settings. I had to set the threshold of the mesh head higher(23), but it sounds fine. I will change the rest the same way and then if I find that it's being limited by the resistors, I can always remove the circuit board. I am just wondering if the circuit board does anything else besides holding the resistors? So Far So Good! I have 2 more toms to go, but it's responding well. Love the rebound off these things. Here's the jack in the DM10 Studio I have. The module is Silver, not black/grey like some of the ones I have seen on here. It seems thay have updated the kit, which is why I may have different jacks?? I don't really know. I am guessing the R1, R2, R3, R4 on the circuit board are the resistors, but I didn't wan't to fudge things up so I left them alone. Adjusting the sensitivity, threshold, and curve seems to do the trick though. I may play with the settings once I get it back on the rack when I get home. Thanks for all the great videos, photos, advice and writeups!!! P.S. I also didn't have to drill a hole for the wires. There was already a channel cut out in one of the ribs back towards the jack. From my experience with the 10x, there's no need to remove the resistors.